Silvia Castro Borrego is Lecturer of English and North American literature and culture at the University of Málaga (Spain). She was a Visiting Scholar at the University of Washington during the academic year 1995-96, lecturer at the JFK Institute in Berlin (Germany) in the summer of 2003, and visiting scholar in the summers of 2012 and 2013 at Spelman College (Atlanta). She has published book chapters and articles on African American literature and the literature of the African diaspora. Among these are “Motherlands as Gendered Spaces: Julie Dash’s Film and Novel Daughters of the Dust” in Family in Africa and The African Diaspora (Salamanca, 2004), “There is more to it than meets the eye: Alice Walker’s The Temple of My Familiar, a Narrative of the Diaspora,” Revista de Estudios Norteamericanos (Seville, 2003), “Double Consciousness” Encyclopedia of American Studies (New York, 2001). She is the co-editor of the book Identity, Migration and Women’s Bodies as Sites of Knowledge and Transgression (Oviedo: KRK, 2009) an interdisciplinary study of Migration and Diaspora from a postcolonial and gender perspective. Her most recent publications include the co-edited volumes Identities on the Move: Contemporary Representations of New Sexualities and Gender Identities (Lexington, 2015), Cultural Migrations and Gendered Subjects: Colonial and Postcolonial Representations of the Female Body (Cambridge Scholars, 2011), the edited volume The Search for Wholeness and Diaspora Literacy in African American Literature (Cambridge Scholars, 2011), and the articles “Re(claiming) Subjectivity and Transforming the Politics of Silence through the Search for Wholeness in Push” in the journal Atlantis (Oviedo 2014) and “Integration, Assimilation, and Identity in Lorraine Hansberry’s A Raisin in the Sun and Barbara and Carlton Molette’s Rosalee Pritchett in the Revista Canaria de Estudios Ingleses (2015). Mar Gallego has taught American and African American Literatures at the University of Huelva (Spain) since 1996. Currently, she is the Director of the Migration Research Center at this University. Her major research interests are African American Studies and the African diaspora, with a special focus on women writers and gender issues. She has been awarded fellowships at the Universities of Cornell, Northwestern and Harvard. She has published a monograph entitled Passing Novels in the Harlem Renaissance (Hamburg: LitVerlag, 2003) and has co-edited several essay collections: Myth and Ritual in African American and Native American Literatures (2001), Contemporary Views on American Culture and Literature in the Great 60’s (2002), Razón de mujer: Género y discurso en el ensayo femenino (2003), El legado plural de las mujeres (2005), Espacios de género (2005), Relatos de viajes, miradas de mujeres (2007), Género, Ciudadanía y Globalización (2009 and 2011) and The Dialectics of Diasporic Identification (2009). Manuela Coppola teaches English literature at the University of Naples “L’Orientale”. Her research interests include postcolonial theory, gender studies, and literatures of the African diaspora. She has been Visiting Research Scholar at the Institute for the Arts and Humanities, University of North Carolina, Chapel Hill. She has published on South African literature, Italian postcolonial women writers, and on contemporary Caribbean and Black British literature. Among her publications, L’isola madre. Maternità e memoria nella narrativa di Jean Rhys e Jamaica Kincaid (2010) and Crossovers. Language and Orality in Anglophone Caribbean Poetry (2011). She is currently researching on women poets of the Africa diaspora and their role as intellectuals. Petra Tournay-Theodotou is Associate Professor of English at European University Cyprus, where she teaches Postcolonial, British, African-American and Women’s literature. She obtained both her Masters and PhD in English and Spanish language and literature from the University of Aachen, Germany. Due to her academic background in two cultures, her publications include journal publications and book chapters on Spanish, Latinamerican and British literature and a monograph on the Spanish poet Gustavo Adolfo Bécquer. Recently, her research focus has been on Black British, British Asian and migrant literature with special interest in the work of Caryl Phillips. She is a regular reviewer for Postcolonial Text and Assistant Editor of Cadences, A Journal of Literature and the Arts in Cyprus. She is currently working on the work of the Black British author Jackie Kay and in collaboration with Sofía Muňoz Valdivieso (University of Málaga) on an edited volume with the working title Redefining Britishness in Contemporary Black British Writing: British Identities and the Identity of Britain for publication with Cambridge Scholars. 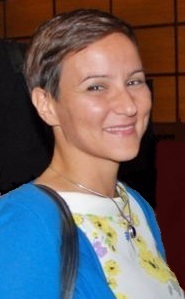 Erzsébet Barát is Associate Professor in the Department of English, at the University of Szeged and since 2000 Recurring Visiting Professor at CEU. She holds a PhD in Linguistics from the Social Sciences Faculty, Lancaster University, UK. Her research interests include feminist critical theory, relational models of identity, and the relationship between language, power and ideology. She is founding Editor-in-Chief of the Hungarian journal, TNTeF: Interdisciplinary Electronic Journal of Gender Studies (http:/primus.arts.u-szeged.hu/ieas/gender/tntef.htm). She launched and has organized the annual gender studies conference in Szeged since 2005. She is a regular contributor to edited volumes and journals. She has been invited to run courses in PhD programs, most recently at the University of Vienna and Masaryk University, Brno. She is currently co-editing the volume “Ideological Conceptualisations of Language: Discourses of linguistic diversity” to be published by Peter Lang in 2012. PhD Anna-Leena Toivanen works as a postdoctoral researcher at the University of Eastern Finland in Joensuu. She obtained her doctorate in 2010 at the University of Jyväskylä with a study on two Zimbabwean writers, Yvonne Vera and Dambudzo Marechera. The study focused on issues of nationhood in the context of the Zimbabwe crisis. In her ongoing research project, Toivanen studies the tensions of nationhood and globalization in the context of Sub-saharan African women’s writing. The study employs a comparative approach by looking into both Anglo- and Francophone African women’s literatures. In her research project, Toivanen’s main interest is in the ways in which contemporary African women’s narratives disturb postnationalist discourses by insisting on keeping the nation on their agenda. Inspired by the writings of Simon Gikandi, the study takes as its starting point the idea that the failures of the postcolonial nation-state should be read as the darker reverse of globalization. Theoretically, the study draws from and contributes to postcolonial studies, as well as gender and globalization studies. 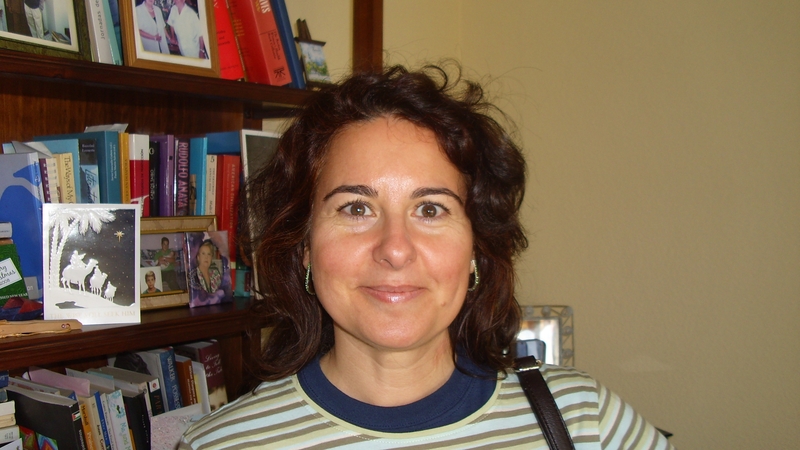 Rocío Cobo-Piñero is a postdoctoral fellow and lecturer at the University of Seville, Spain. She has a Ph.D. in English-Language Literatures (2014) from the University of Seville, in international co-tutorship with Universidade Federal do Espírito Santo (Brazil). She holds a M.A. in African-American Studies, from the University of Pennsylvania (2001), and another M.A. in Teaching Spanish as a Second Language, from the University Pablo de Olavide (Spain, 2010). Dr. Cobo-Piñero is a researcher at the Centre for the Investigation on Migratory Movements (CIM-University of Huelva/Unesco Chair) and Editorial Board Member for the book series Faro de la Memoria (Beacon of Memory), University of Cadiz Press. She has published on African and African American women writers, migratory movements and cultural studies. She is the author of the book Sonidos de la diáspora. Blues y jazz en Toni Morrison, Alice Walker y Gayl Jones (Arcibel, 2015). Rocío Cobo-Piñero es contratada posdoctoral y profesora en el Dpto. de Literatura Inglesa y Norteamericana de la Universidad de Sevilla, donde también realizó su Doctorado en Literatura en Lengua Inglesa (2014), en cotutela internacional con la Universidade Federal do Espítito Santo (Brasil). Además, tiene un máster en Estudios Afroamericanos por la University of Pennsylvania (2001) y otro en Enseñanza de Español para Extranjeros por la Universidad Pablo de Olavide (2010). La Dra. Cobo-Piñero es miembro del Centro de Investigación en Migraciones (Universidad de Huelva/Cátedra Unesco) y forma parte del equipo editorial de la Colección Faro de la Memoria, Universidad de Cádiz. Ha publicado en revistas nacionales e internacionales en torno a la obra de escritoras africanas y afroamericanas, las migraciones y los estudios culturales. Una de sus publicaciones incluye la monografía Sonidos de la diáspora. Blues y jazz en Toni Morrison, Alice Walker y Gayl Jones (Arcibel, 2015).